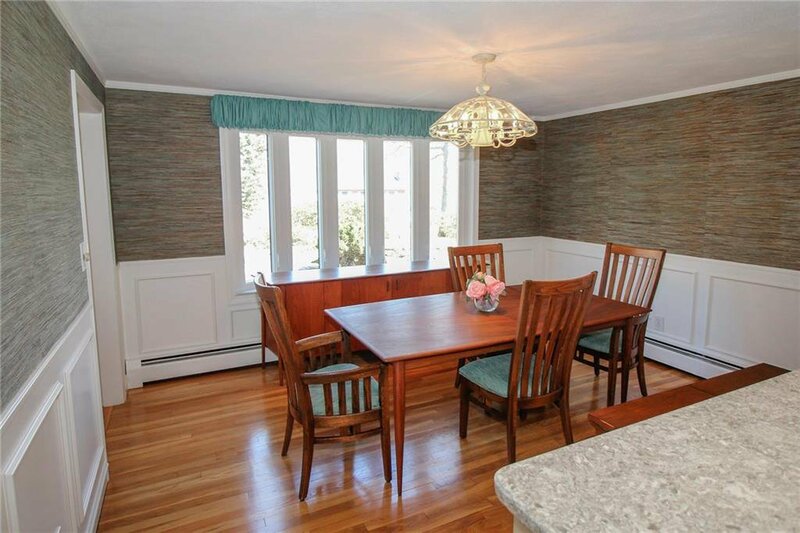 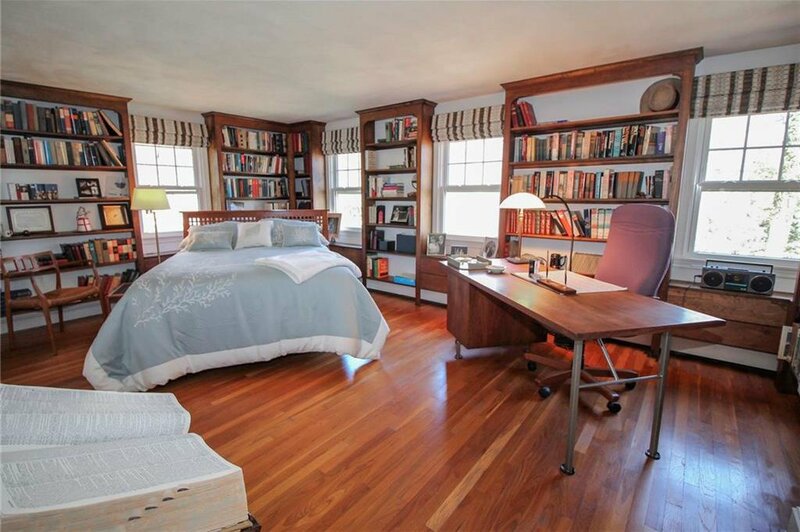 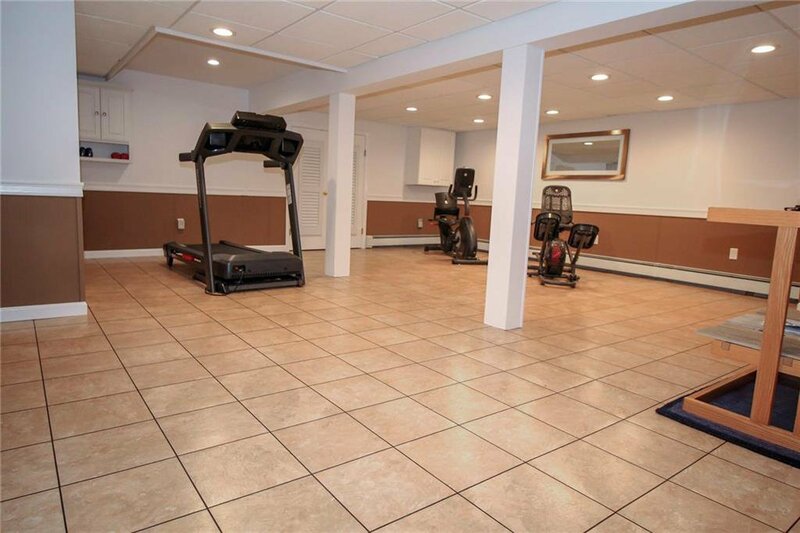 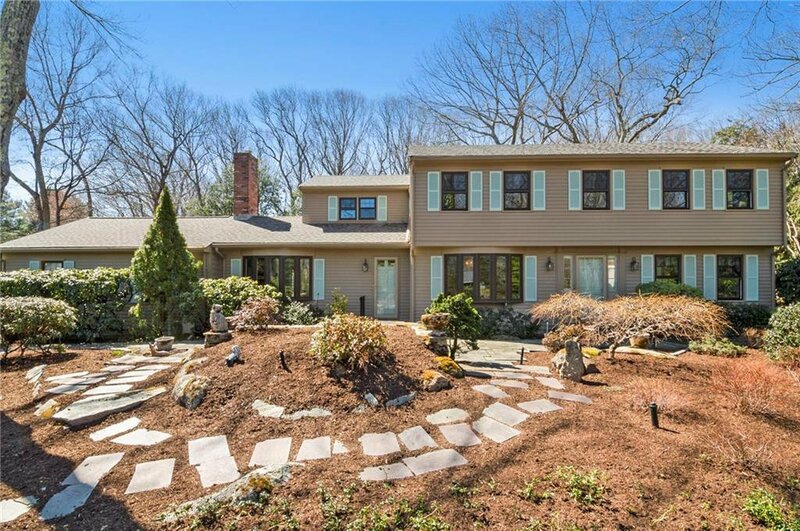 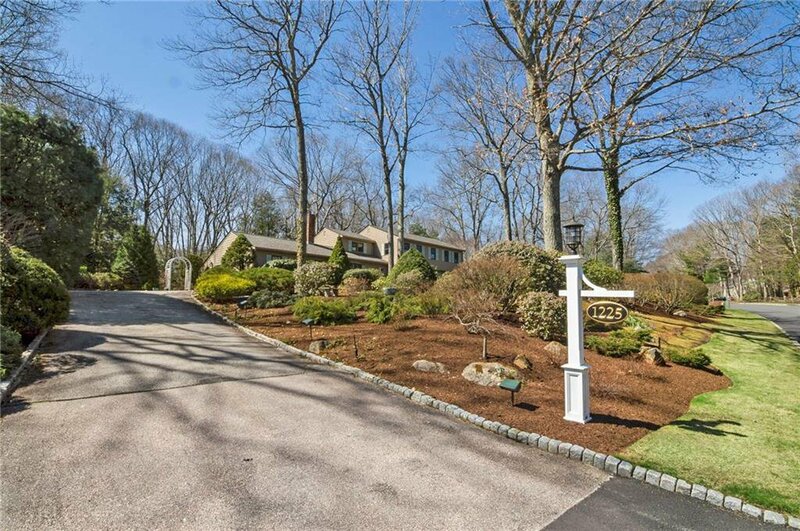 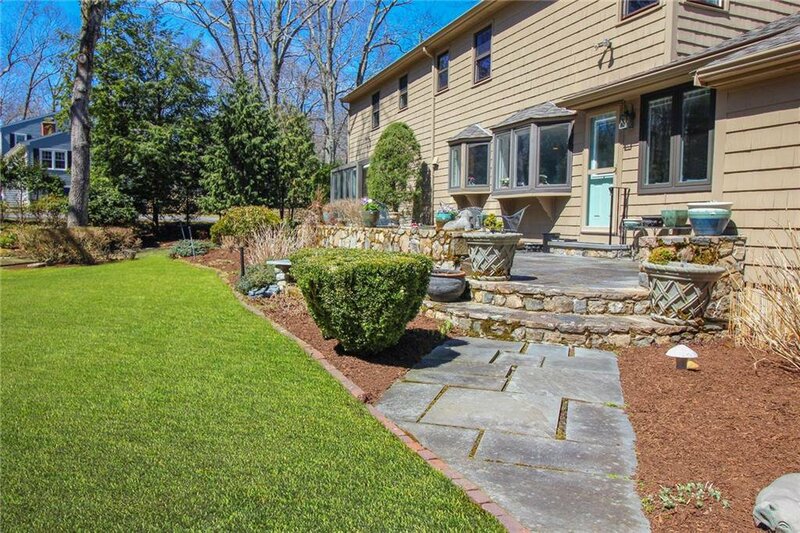 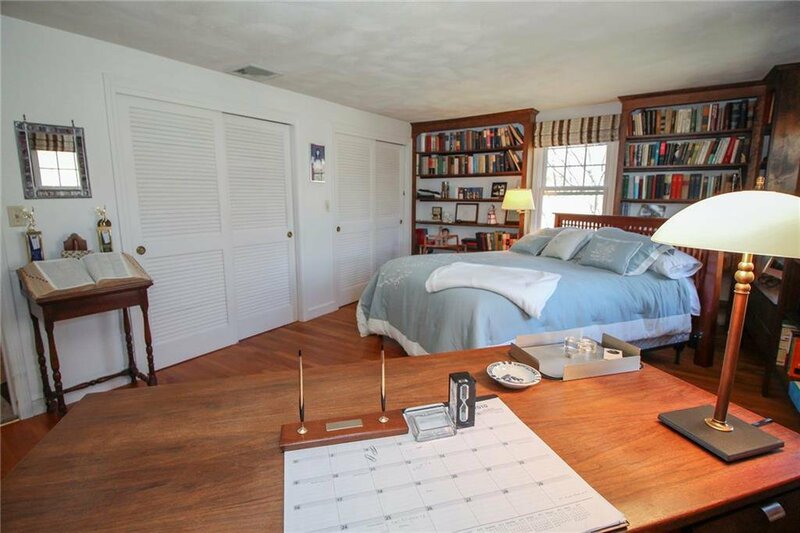 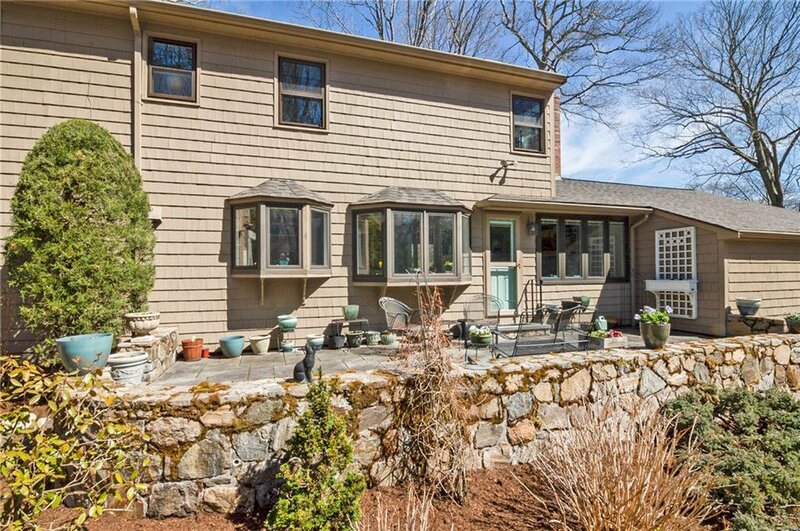 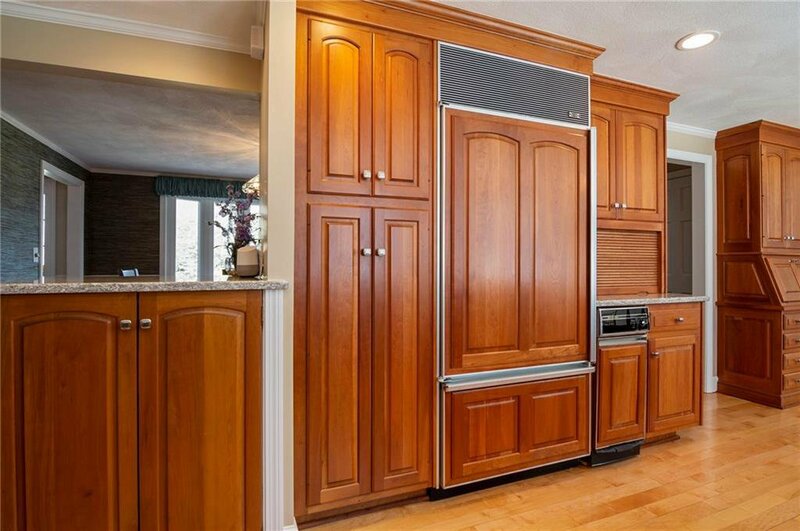 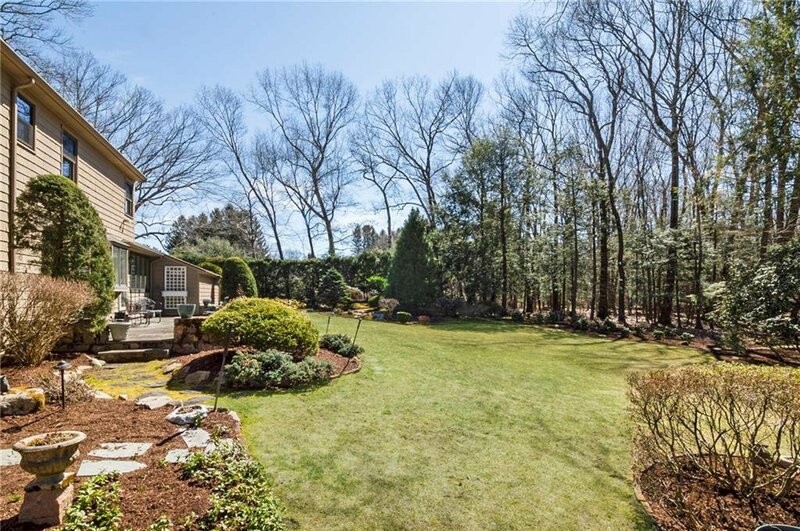 TRULY OUTSTANDING OPPORTUNITY to own in â€œHigh Hawkâ€ in top-rated East Greenwich school district. 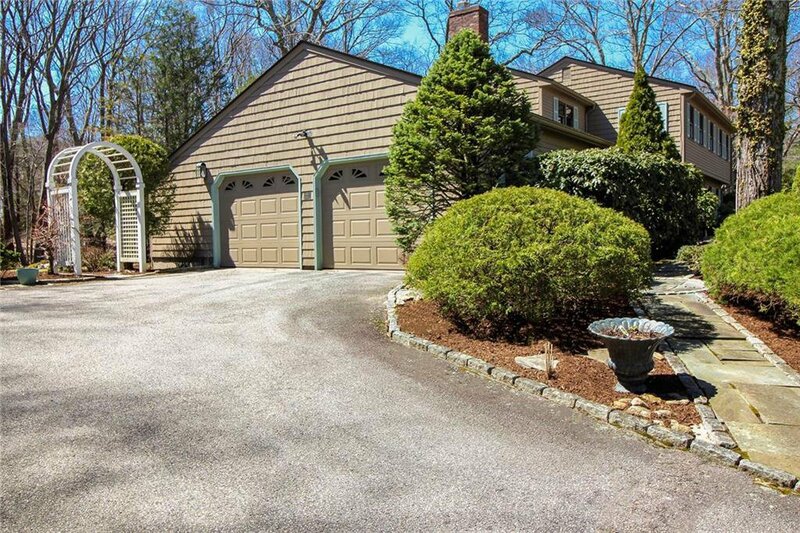 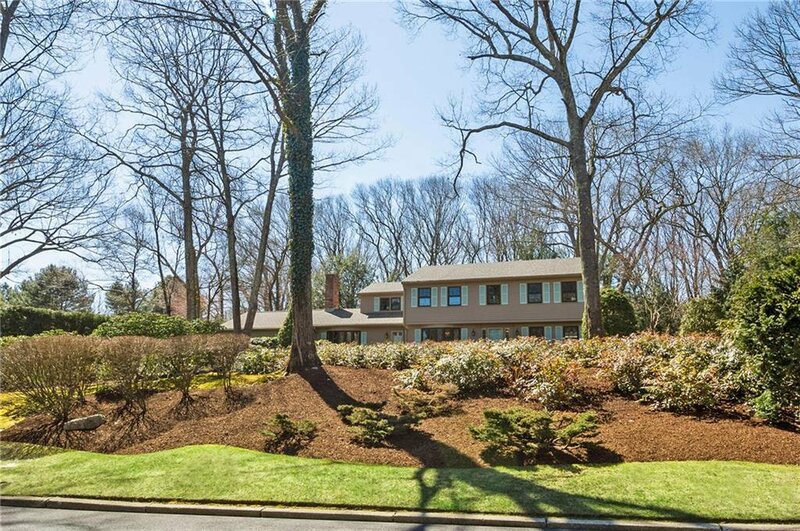 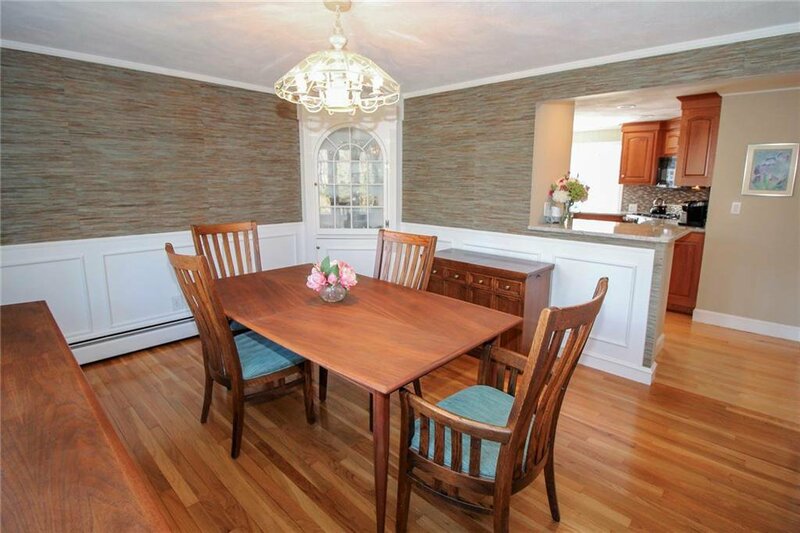 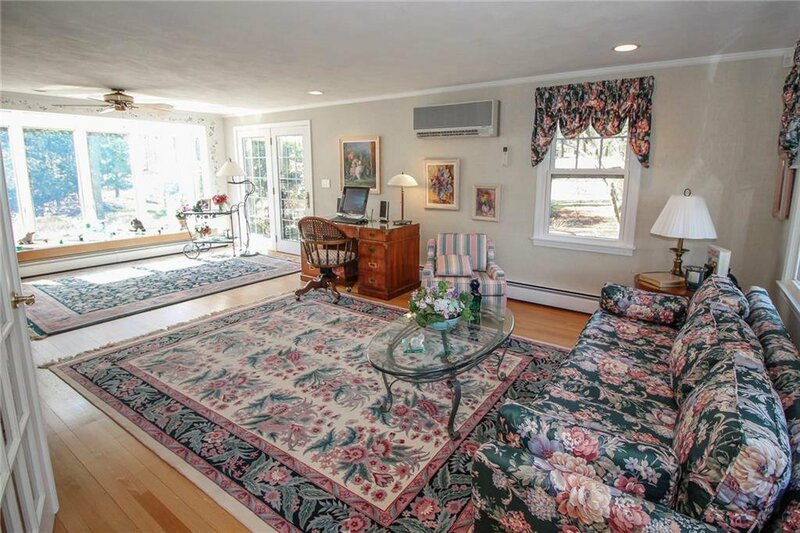 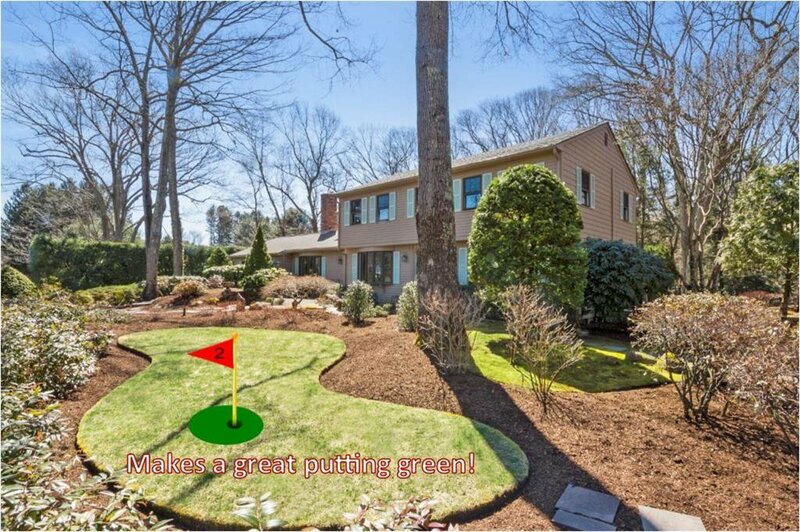 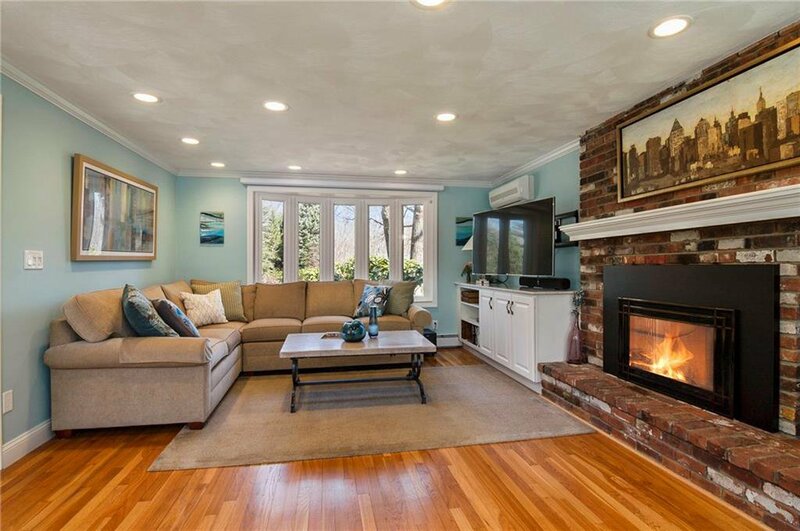 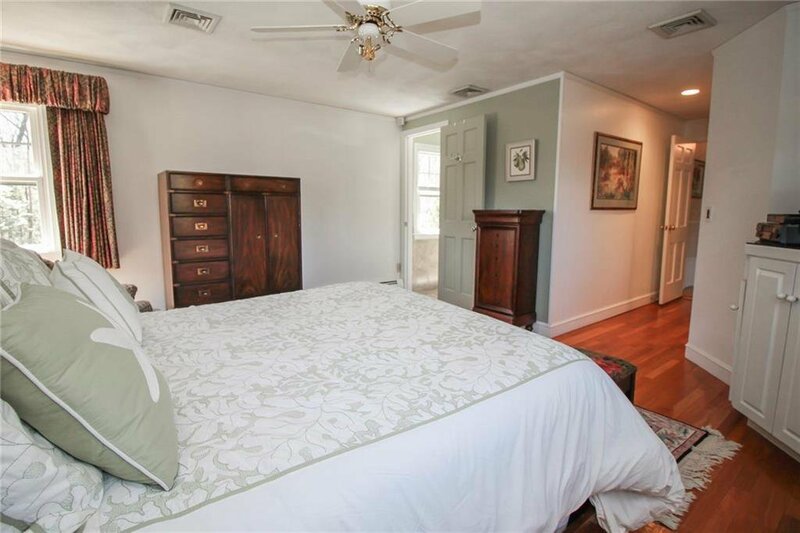 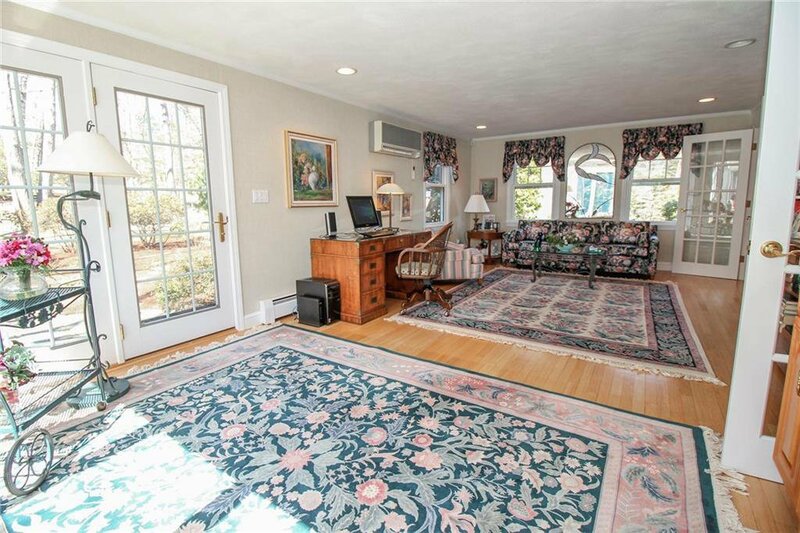 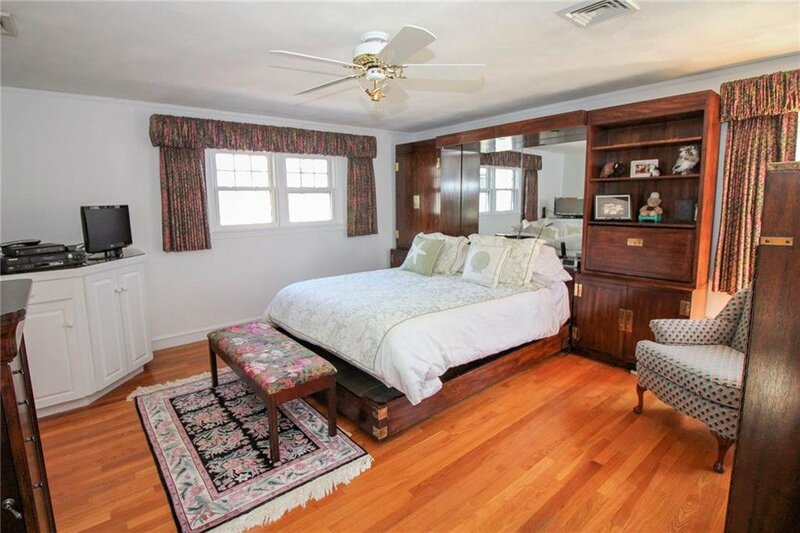 Offering 4 Beds/3 Full Baths, this Garrison Colonial is pristine in every way. 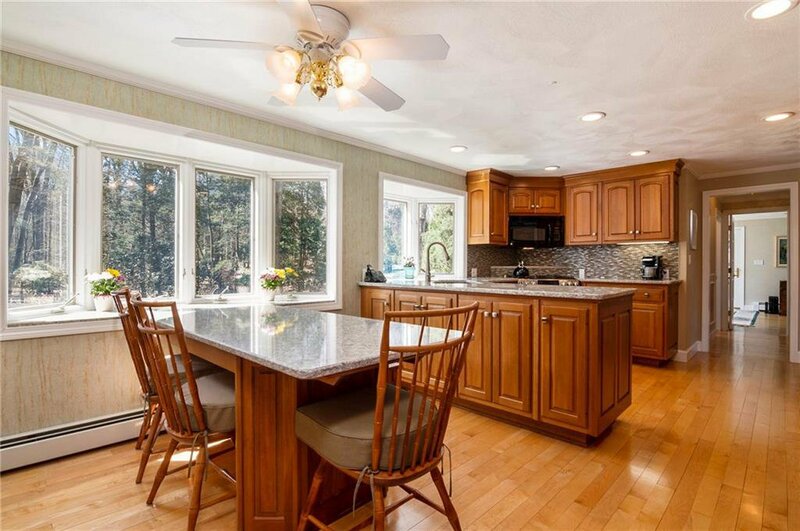 Sun-drenched Kitchen with expansive views of park-like backyard features quartz counters, Moen touchless faucet, stainless double-oven and convenient built-ins. 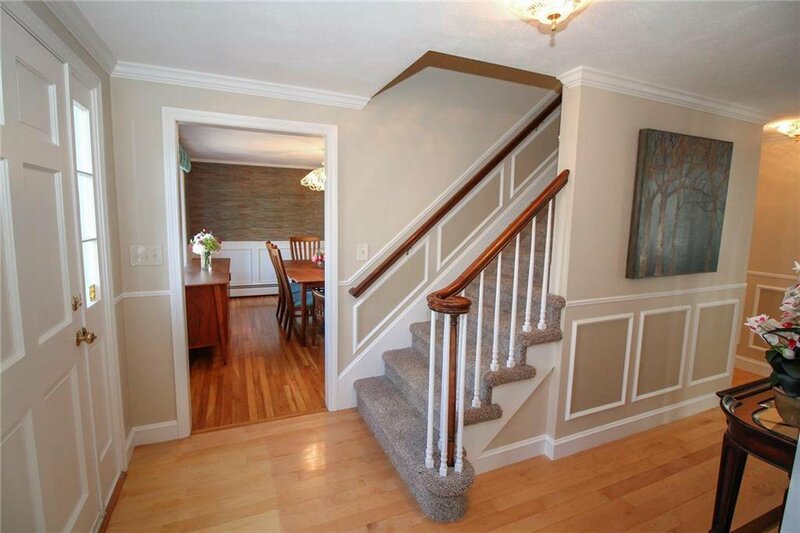 Beautiful hardwoods run throughout the entire home. 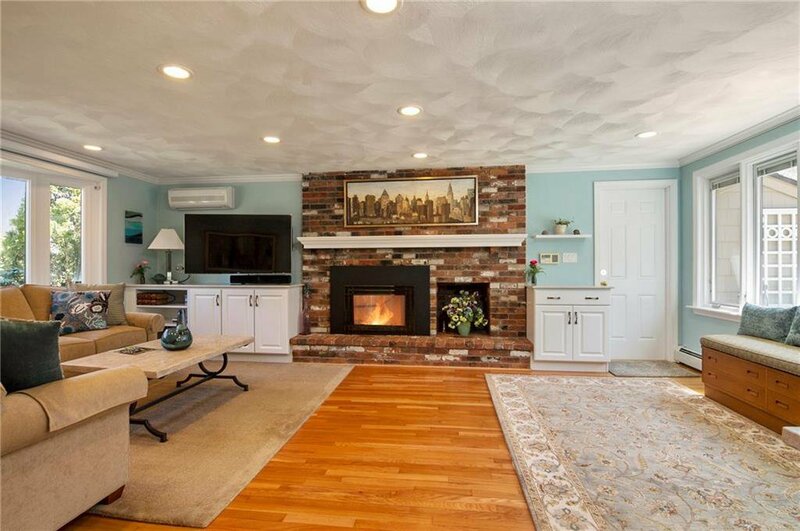 Large brick gas fireplace flanked by handcrafted built-ins is the focal point of the front-to-back Family Room. 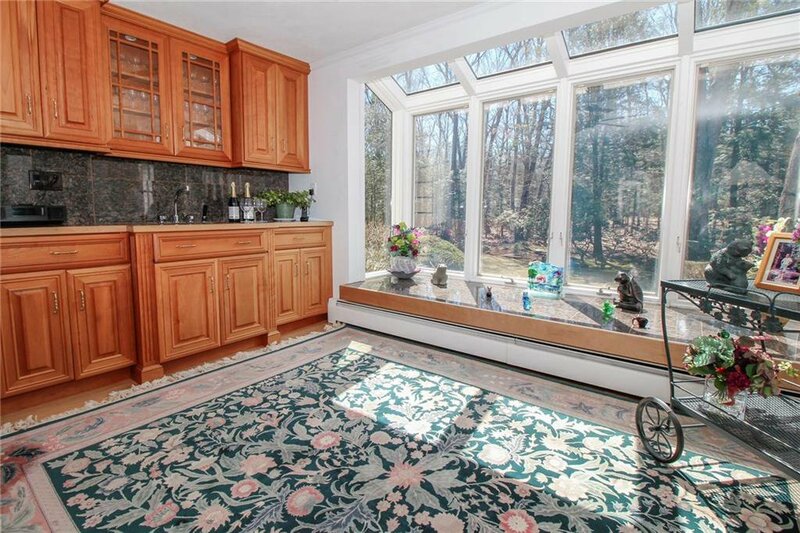 Formal Dining Room leads into large Living Room with a marble wet bar and picturesque floor-to-ceiling garden window. 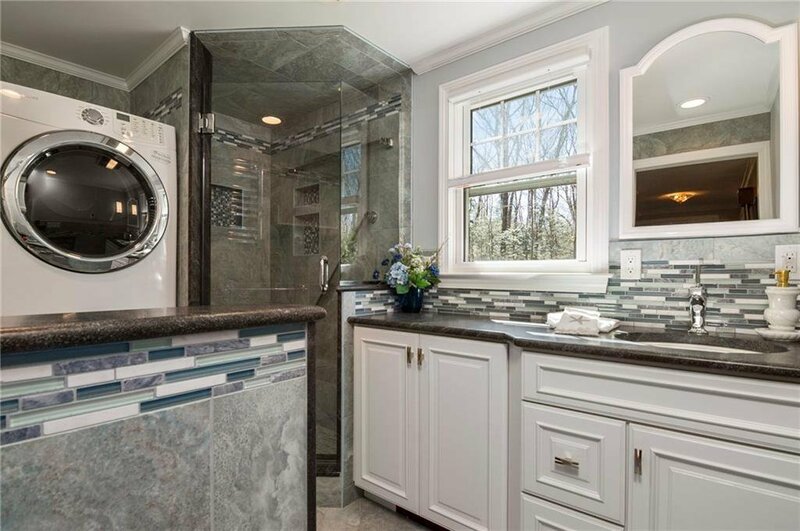 Laundry on first floor. 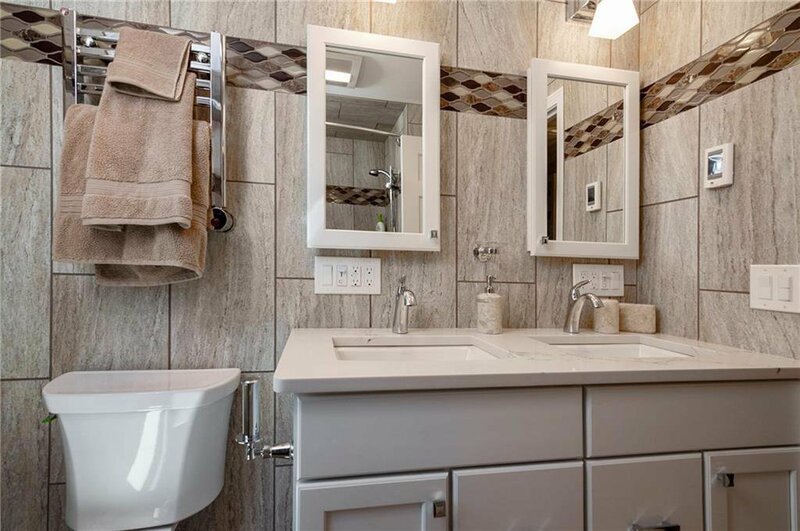 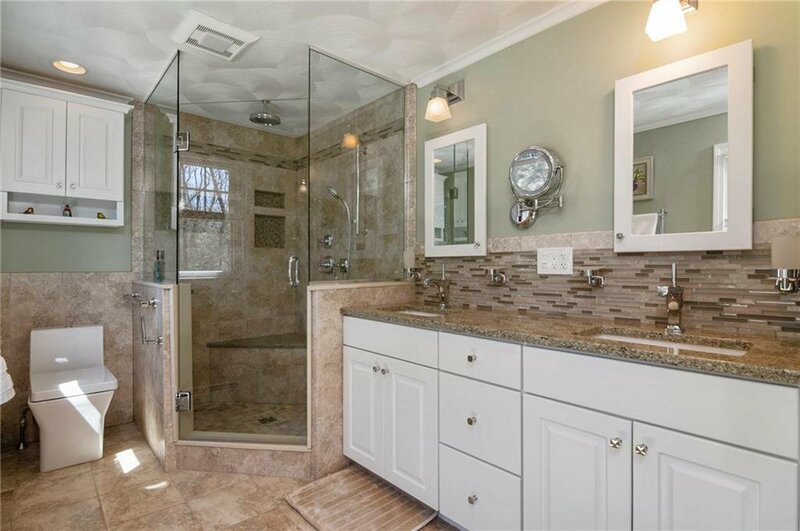 All 3 bathrooms recently updated with quartz and marble, Kohler fixtures, towel warmers and radiant floor heating. 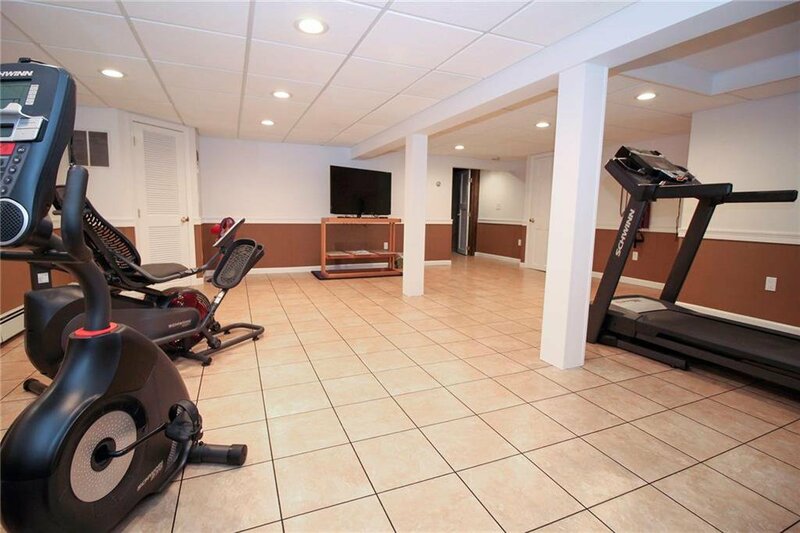 Mostly finished Lower Level, constructed with Wahoo Walls basement finishing system for waterproofing and energy efficiency, is ideal for a media room, exercise studio, office and more. 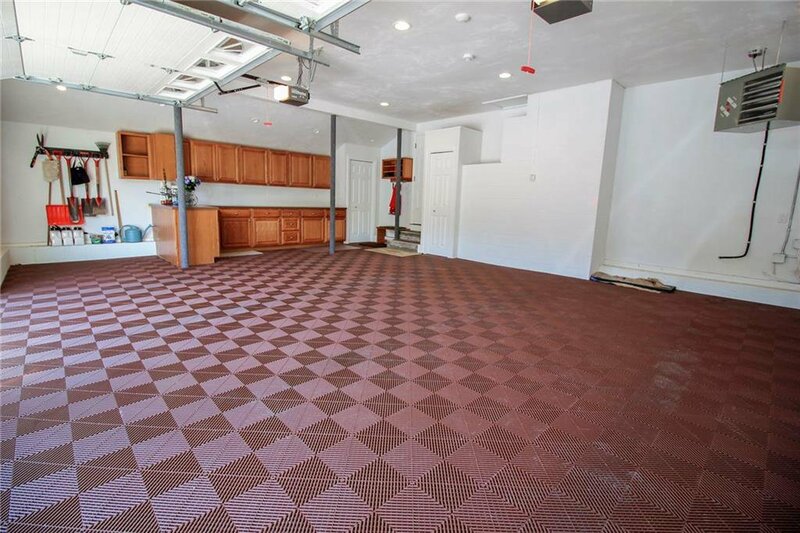 Immaculate, oversize heated 2-car garage offers large workshop space and Swisstrax modular flooring. 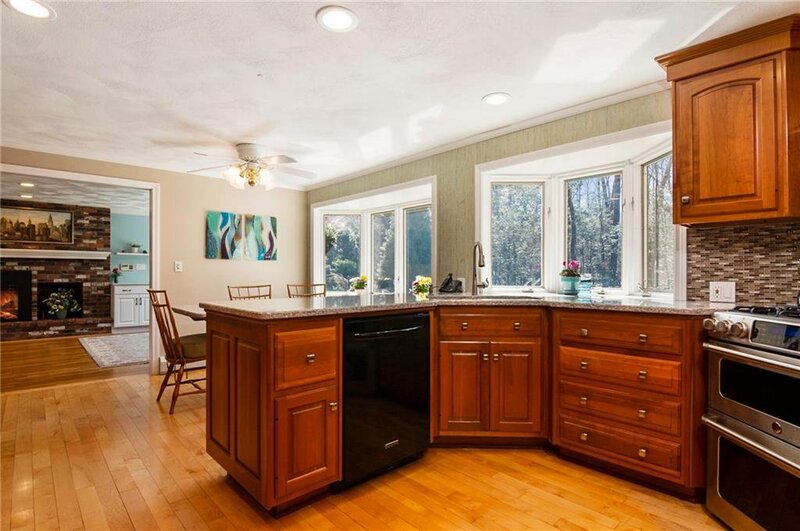 Other notable features: brand new architectural roof, landscape irrigation and lighting, central ac, ductless ac, Pella windows and whole house Generac generator. 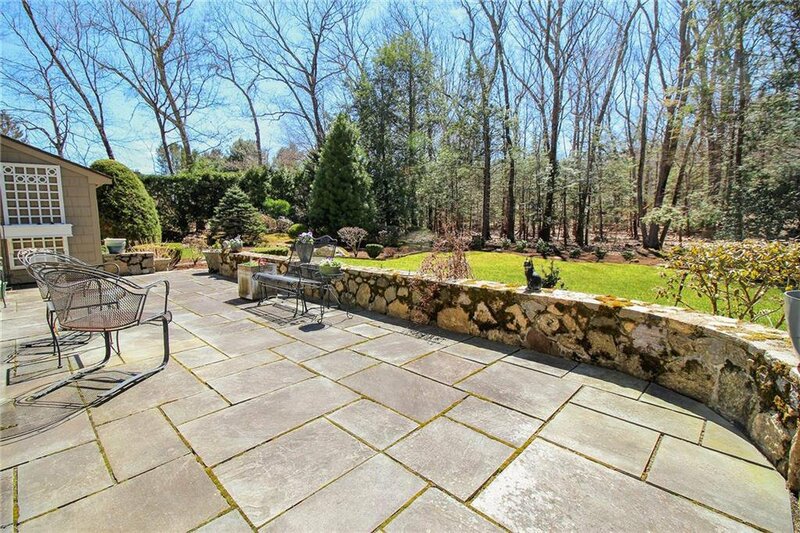 This gracious home is set on 1 acre of verdant, mature landscape and gardens with specimen trees, perennials, natural stone pathways AND a gorgeous bluestone terrace off the back thatâ€™s SO INVITING it becomes a natural extension of the home. 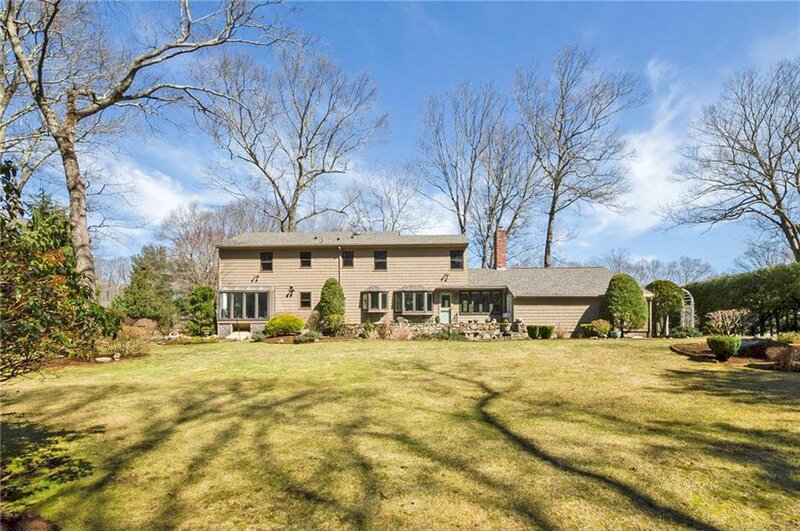 Request your private showing today.